Air delivery is 15-30 days depending on the country. Please consider the delivery time. 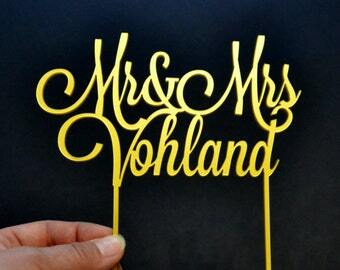 This lovely cake topper made from 1/8" thick acrylic by laser cutter. The plastic of the same color on both sides. Gold Mirror and silver mirror on the reverse side is light gray. You can choose width 5, 6 and 7 inches. 1. Write the text for your cake topper in a message for the seller. 2. Write the date of your event. 3. Select the width of the cake topper in the drop down menu. 4. Select the color of the cake topper in the drop down menu. 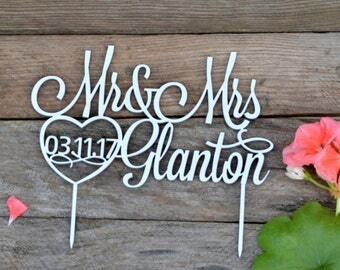 I'll post the layout of your cake topper in the day of order. I will ship your order on approval day or 3 business days after ordering. 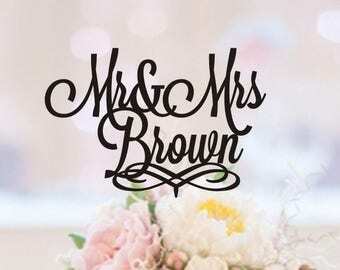 and will be a cherished keepsake from your special day. It is adds the perfect touch to your cake. Shipping to USA usually takes about 15-25 days. Shipping to Australia, Canada, New Zealand 20-30 days. After sending parcels I give tracking number. Please, order given the time of delivery! 1. The first name (left) Last name (in the middle), the second name (right). Last name initial in the middle! 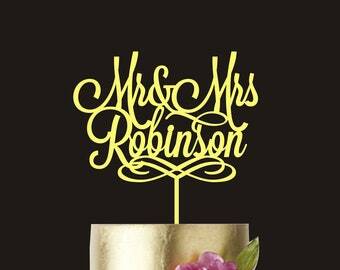 and the husband's first name on the far right. 1. You need to choose a "other" when paying for an order. 2. On the same day I will send you an invoice to your email and you pay it from your credit card to my account Payoneer. 3. I ship your order after confirmation your payment. It take 1-2 days. In case you decided to return a product it should be returned in original and unused condition. Shipping will be paid by the buyer and we do not reimburse shipping cost. 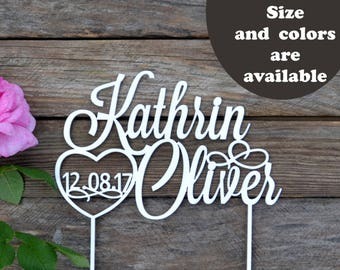 If your order with the standard model cake topper is returned back with a mark "unclaimed", we return the cost of the goods in case it is not damaged upon return. The cost of delivery is not refundable. 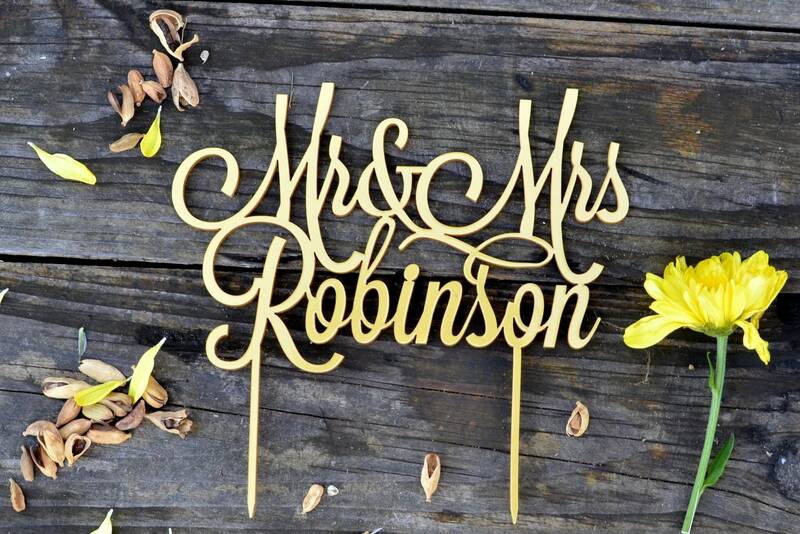 We make fast delivery of standard models of cake toppers in the US for 2-3 days. All items will be crafted, carefully packaged and sent within 1-3 business days after payment is received! Individual orders are dispatched after agreement with the customer. Sending rate depends on the rate matching layout. We do quickly. Be in touch. • Please make sure your Etsy address is correct during the checkout. I will send your package to this address and not the Paypal one. 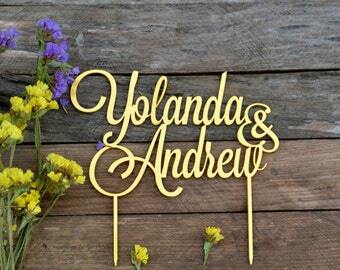 • We make fast delivery of standard models of cake toppers in the US for 2-3 days. • Delivery to other countries and custom orders usually takes about 1-4 weeks. • All packages are sent via international registered airmail from Chernigov, Ukraine. Please note: some local postal services do not provide on-line tracking for international registered airmail. Such as: Germany, Canada, UK, France and Australian post. So I can track your package only while it's in Ukraine. • Each topper is fixed on thick cardboard, packed in a protective foil, kraft paper and envelope with an air gap.